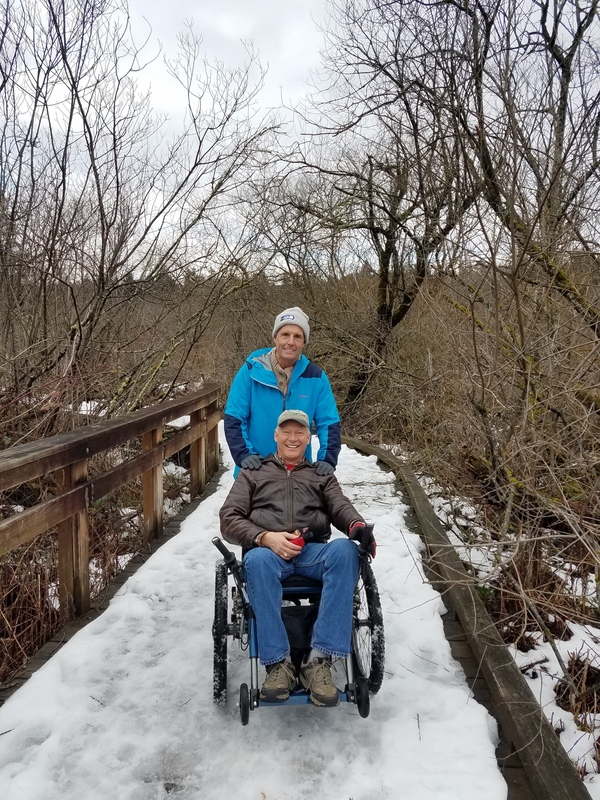 I wanted to let you know how my Mountain Trike has impacted my life since I got it last April.I have used it around my area (Bellevue, WA, USA) quite a bit. 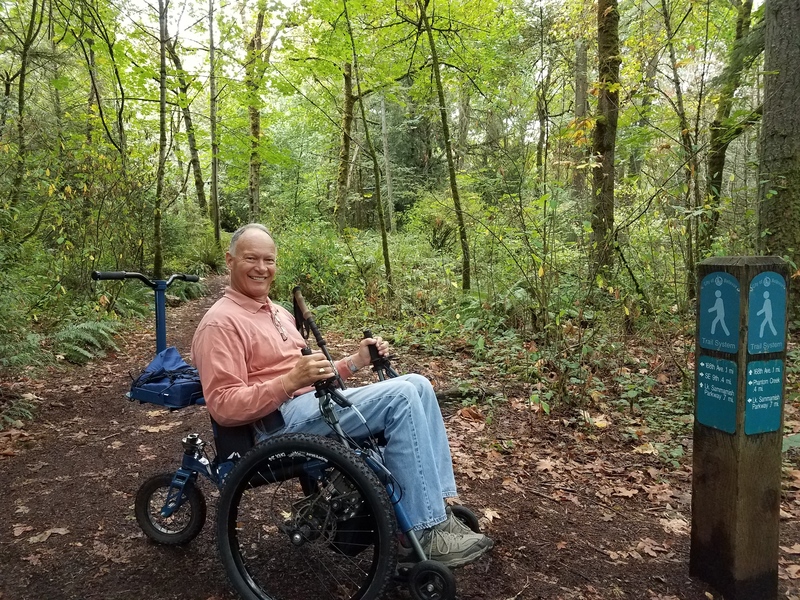 My friend Stan Perkins and I are training for a “lake to lake” ride between Lake Washington and Lake Sammamish (about 7 miles). He pushes me up hills when I need it! 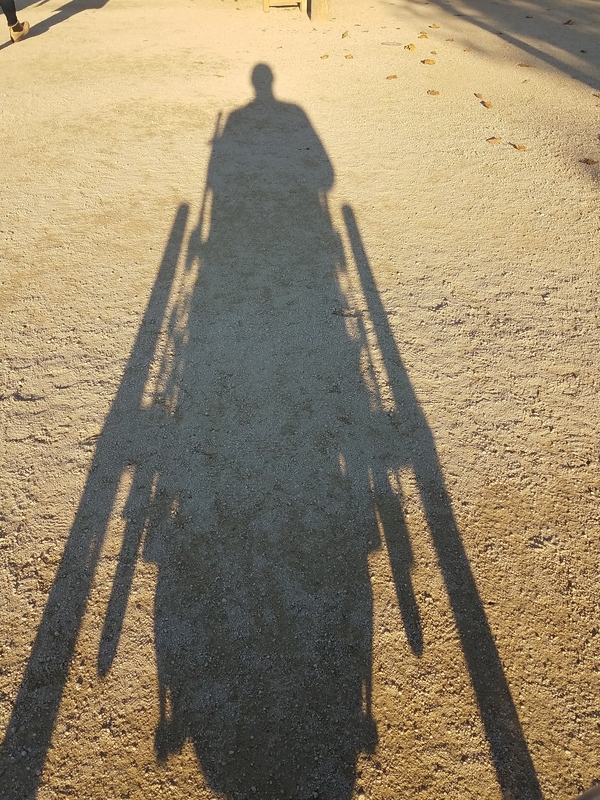 With my Mountain Trike I’ve been on trails, through parks, in museums, airports and all over the place. I keep it in the back of my GMC Yukon and pull it out whenever a ride is in order. And I’ve taken it on a number of flights. 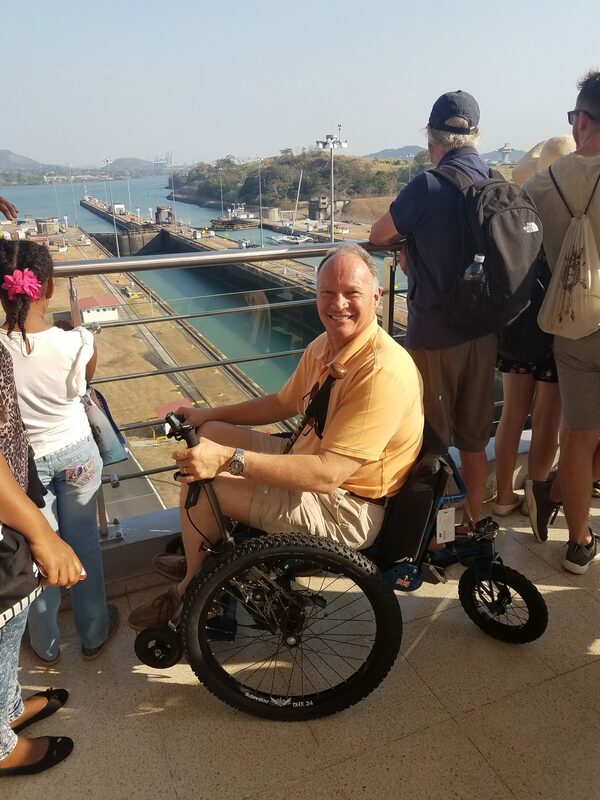 So far, by either vehicle or plane, I’ve had it in Washington, Oregon, Wyoming, Missouri, Iowa, Arizona and most recently to Panama City, Panama. This summer it will go with me to Washington D.C. and then later to Europe (Budapest, etc.). 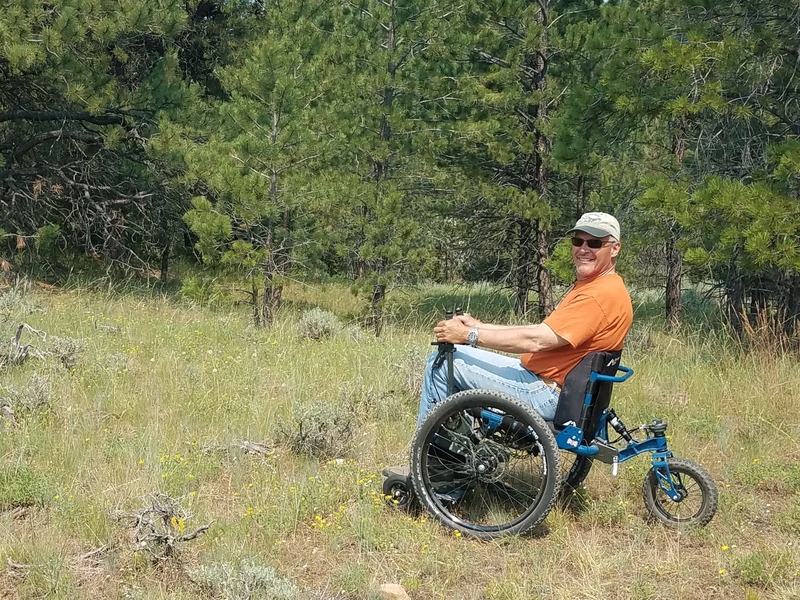 I get stopped by all kinds of folks with comments like “That’s the coolest wheelchair I’ve ever seen!”, “Wow – what a piece of engineering!”, “Way to get out and enjoy nature”. I’m proud to tell people about it and give the cards away. It's an honour to be an advocate/ambassador for such a cool piece of equipment. And I've had some business cards made with a photo of the Mountain Trike and my name, also the contact for Paul at Spokes N’Motion which is where I got my Trike. 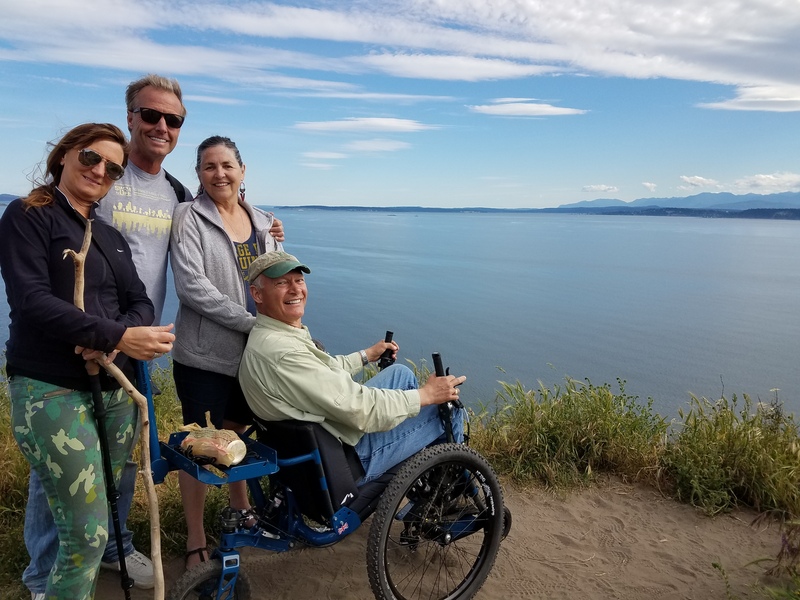 T.J. is keen to ride out with other Mountain Trike folks - so if you're in the Seattle, WA area, please get in touch and we'll happily connect you.